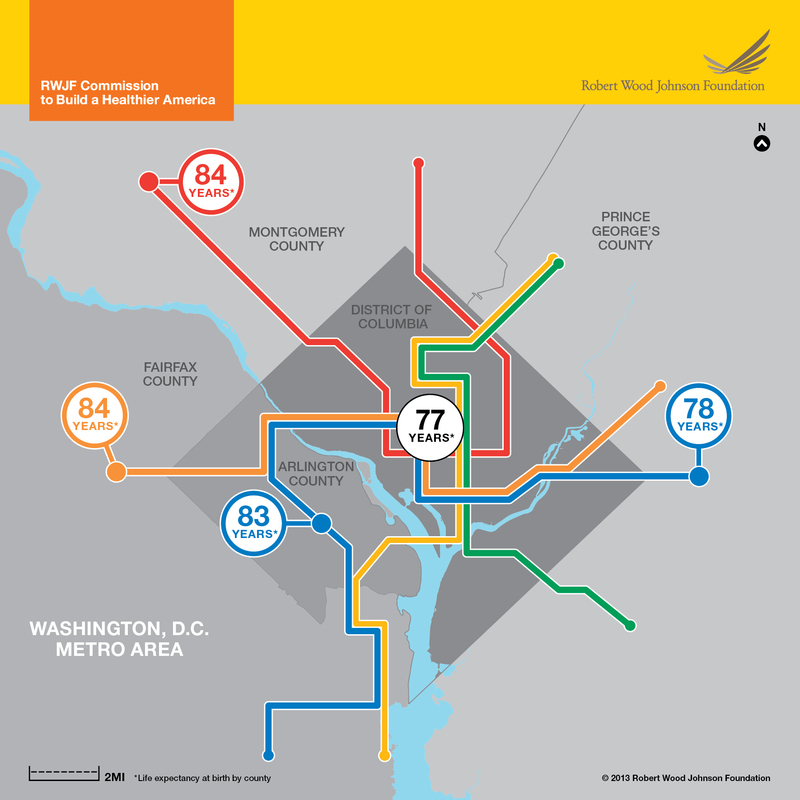 Babies born to mothers in Maryland's Montgomery County and Virginia's Arlington and Fairfax Counties can expect to live six to seven years longer than babies born to mothers in Washington, D.C.--just a few subway stops away. A short distance can mean large disparities in health. Browse this collection of maps that show dramatic differences in life expectancy for babies in major U.S. cities.